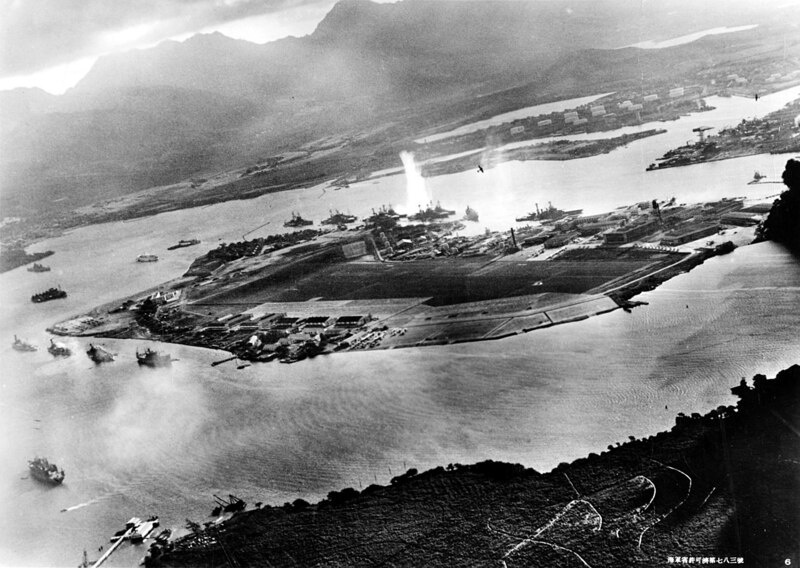 The Japanese secret communications code had been broken BEFORE the events at Pearl Harbor. knew when and from where the Japanese fleet had embarked and exactly where it was headed. thing for a victorious commander to say. Who Involved the U.S. in WWII When 83% of Americans Voted Against It? JEWS OF COURSE...! Professor Raymond Moley – Favorite Presidential Advisor. Henry Morgenthau Sr. – Unofficial Advisor, Secretary of the Treasury, Jewish State Lawyer. Justice Benjamin Cardozo – Presidential Advisor. Gerald Shwope – Presidential Advisor. E. A. Filene – Presidential Advisor. Charles Taussig – Brain -Trust Advisor. Just to name a few of the “Trustworthy Men” (JEWS) involved in American interests. “…In a word, to sum up our system of keeping the governments of the goyim in Europe in check, we shall show our strength to one of them by terrorist attempts and to all, if we allow the possibility of a general rising against us, we shall respond with the guns of America or China or Japan"…. “We Jews,” as the spokesmen of this clannish nationalism might put it, “are well aware that in America, England, France and the Soviet Union, as well as in every other part of the world, the rule is: Judah must come first!" There is a feeling now prevalent in the United States marked by growing hatred of Fascism, and above all of Chancellor Hitler and everything connected with National Socialism. Propaganda is mostly in the hands of the Jews who control almost 100% [of the] radio, film, daily and periodical press. Although this propaganda is extremely coarse and presents Germany as black as possible--above all religious persecution and concentration camps are exploited--this propaganda is nevertheless extremely effective since the public here is completely ignorant and knows nothing of the situation in Europe. At the present moment most Americans regard Chancellor Hitler and National Socialism as the greatest evil and greatest peril threatening the world. The situation here provides an excellent platform for public speakers of all kinds, for emigrants from Germany and Czechoslovakia who with a great many words and with most various calumnies incite the public. They praise American liberty which they contrast with the totalitarian states. It is interesting to note that in this extremely well-planned campaign which is conducted above all against National Socialism, Soviet Russia is almost completely eliminated. Soviet Russia, if mentioned at all, is mentioned in a friendly manner and things are presented in such a way that it would seem that the Soviet Union were cooperating with the bloc of democratic states. Thanks to the clever propaganda the sympathies of the American public are completely on the side of Red Spain. This propaganda, this war psychosis is being artificially created. The American people are told that peace in Europe is hanging only by a thread and that war is inevitable. At the same time the American people are unequivocally told that in case of a world war, America also must take an active part in order to defend the slogans of liberty and democracy in the world. President Roosevelt was the first one to express hatred against Fascism. In doing so he was serving a double purpose; first he wanted to divert the attention of the American people from difficult and intricate domestic problems, especially from the problem of the struggle between capital and labor. Second, by creating a war psychosis and by spreading rumors concerning dangers threatening Europe, he wanted to induce the American people to accept an enormous armament program which far exceeds United States defense requirements. Regarding the first point, it must be said that the internal situation on the labor market is growing worse constantly. The unemployed today already number 12 million. Federal and state expenditures are increasing daily. Only the huge sums, running into billions, which the treasury expends for emergency labor projects, are keeping a certain amount of peace in the country. Thus far only the usual strikes and local unrest have taken place. But how long this government aid can be kept up it is difficult to predict today. The excitement and indignation of public opinion, and the serious conflict between private enterprises and enormous trusts on the one hand, and with labor on the other, have made many enemies for Roosevelt and are causing him many sleepless nights. As to point two, I can only say that President Roosevelt, as a clever player of politics and a connoisseur of American mentality, speedily steered public attention away from the domestic situation in order to fasten it on foreign policy. The way to achieve this was simple. One needed, on the one hand, to enhance the war menace overhanging the world on account of Chancellor Hitler, and, on the other hand, to create a specter by talking about the attack of the totalitarian states on the United States. The Munich pact came to President Roosevelt as a godsend. He described it as the capitulation of France and England to bellicose German militarism. As was said here: Hitler compelled Chamberlain at pistol-point. Hence, France and England had no choice and had to conclude a shameful peace. The prevalent hatred against everything which is in any way connected with German National Socialism is further kindled by the brutal attitude against the Jews in Germany and by the émigré problem. In this action Jewish intellectuals participated; for instance, Bernard Baruch; the Governor of New York State, Lehman; the newly appointed judge of the Supreme Court, Felix Frankfurter; Secretary of the Treasury Morgenthau, and others who are personal friends of Roosevelt. They want the President to become the champion of human rights, freedom of religion and speech, and the man who in the future will punish trouble-mongers. These groups, people who want to pose as representatives of “Americanism” and “defenders of democracy” in the last analysis, are connected by unbreakable ties with international Jewry. For this Jewish international, which above all is concerned with the interests of its race, to put the President of the United States at this “ideal” post of champion of human rights, was a clever move. In this manner they created a dangerous hotbed for hatred and hostility in this hemisphere and divided the world into two hostile camps. The entire issue is worked out in a mysterious manner. Roosevelt has been forcing the foundation for vitalizing American foreign policy, and simultaneously has been procuring enormous stocks for the coming war, for which the Jews are striving consciously. With regard to domestic policy, it is extremely convenient to divert public attention from anti-Semitism which is ever growing in the United States, by talking about the necessity of defending faith and individual liberty against the onslaught of Fascism. 1. The vitalizing foreign policy, under the leadership of President Roosevelt, severely and unambiguously condemns totalitarian countries. 2. The United States preparation for war on sea, land and air which will be carried out at an accelerated speed and will consume the colossal sum of $1,250 million. 3. It is the decided opinion of the President that France and Britain must put [an] end to any sort of compromise with the totalitarian countries. They must not let themselves in for any discussions aiming at any kind of territorial changes. A week ago, the Ambassador of the United States, W. Bullitt, returned to Paris after having spent three months holiday in America. Meanwhile, I had two conversations with him which enable me to inform Monsieur Minister on his views regarding the European situation and to give a survey of Washington’s policy…. The foreign policy of the United States right now concerns not only the government, but the entire American public as well. The most important elements are the public statements of President Roosevelt. In almost every public speech he refers more or less explicitly to the necessity of activating foreign policy against the chaos of views and ideologies in Europe. These statements are picked up by the press and then cleverly filtered into the minds of average Americans in such a way as to strengthen their already formed opinions. The same theme is constantly repeated, namely, the danger of war in Europe and saving the democracies from inundation by enemy fascism. In all of these public statements there is normally only a single theme, that is, the danger from Nazism and Nazi Germany to world peace. As a result of these speeches, the public is called upon to support rearmament and the spending of enormous sums for the navy and the air force. The unmistakable idea behind this is that in case of an armed conflict the United States cannot stay out but must take an active part in the maneuvers. As a result of the effective speeches of President Roosevelt, which are supported by the press, the American public is today being conscientiously manipulated to hate everything that smacks of totalitarianism and fascism. But it is interesting that the USSR is not included in all of this. The American public considers Russia more in the camp of the democratic states. This was also the case during the Spanish civil war when the so-called Loyalists were regarded as defenders of the democratic idea. The State Department operates without attracting a great deal of attention, although it is known that Secretary of State [Cordell] Hull and President Roosevelt swear allegiance to the same ideas. However, Hull shows more reserve than Roosevelt, and he loves to make a distinction between Nazism and Chancellor Hitler on the one hand, and the German people on the other. He considers this form of dictatorial government a temporary “necessary evil.” In contrast, the State Department is unbelievably interested in the USSR and its internal situation and openly worries itself over its weaknesses and decline. The main reason for the United States interest in the Russians is the situation in the Far East. The current government would be glad to see the Red Army emerge as the victor in a conflict with Japan. That’s why the sympathies of the government are clearly on the side of China, which recently received considerable financial aid amounting to 25 million dollars. Eager attention is given to all information from the diplomatic posts as well as to the special emissaries of the President who serve as ambassadors of the United States. The President frequently calls his representatives from abroad to Washington for personal exchanges of views and to give them special information and instructions. The arrival of the envoys and ambassadors is always shrouded in secrecy and very little surfaces in the press about the results of their visits. The State Department also takes care to avoid giving out any kind of information about the course of these interviews. The practical way in which the President makes foreign policy is most effective. He gives personal instructions to his representatives abroad, most of whom are his personal friends. In this way the United States is led down a dangerous path in world politics with the explicit intention of abandoning the comfortable policy of isolation. The President regards the foreign policy of his country as a means of satisfying his own personal ambition. He listens carefully and happily to his echo in the other capitals of the world. In domestic as well as foreign policy, the Congress of the United States is the only object that stands in the way of the President and his government in carrying out his decisions quickly and ambitiously. One hundred and fifty years ago, the Constitution of the United States gave the highest prerogatives to the American parliament which may criticize or reject the law of the White House. The foreign policy of President Roosevelt has recently been the subject of intense discussion in the lower house and in the Senate, and this has caused excitement. The so-called Isolationists, of whom there are many in both houses, have come out strongly against the President. The representatives and the senators were especially upset over the remarks of the President, which were published in the press, in which he said that the borders of the United States lie on the Rhine. But President Roosevelt is a superb political player and understands completely the power of the American parliament. He has his own people there, and he knows how to withdraw from an uncomfortable situation at the right moment. Very intelligently and cleverly he ties together the question of foreign policy with the issues of American rearmament. He particularly stresses the necessity of spending enormous sums in order to maintain a defensive peace. He says specifically that the United States is not arming in order to intervene or to go to the aid of England or France in case of war, but because of the need to show strength and military preparedness in case of an armed conflict in Europe. In his view this conflict is becoming ever more acute and is completely unavoidable. Since the issue is presented this way, the houses of Congress have no cause to object. To the contrary, the houses accepted an armament program of more than 1 billion dollars. (The normal budget is 550 million, the emergency 552 million dollars). However, under the cloak of a rearmament policy, President Roosevelt continues to push forward his foreign policy, which unofficially shows the world that in case of war the United States will come out on the side of the democratic states with all military and financial power. In conclusion it can be said that the technical and moral preparation of the American people for participation in a war--if one should break out in Europe--is proceeding rapidly. It appears that the United States will come to the aid of France and Great Britain with all its resources right from the beginning. However, I know the American public and the representatives and senators who all have the final word, and I am of the opinion that the possibility that America will enter the war as in 1917 is not great. That’s because the majority of the states in the mid-West and West, where the rural element predominates, want to avoid involvement in European disputes at all costs. They remember the declaration of the Versailles Treaty and the well-known phrase that the war was to save the world for democracy. Neither the Versailles Treaty nor that slogan have reconciled the United States to that war. For millions there remains only a bitter aftertaste because of unpaid billions which the European states still owe America. These secret Polish reports were written by top-level Polish ambassadors who were not necessarily friendly to Germany. However, they understood the realities of European politics far better than people who made foreign policy in the United States. The Polish ambassadors realized that behind all of their rhetoric about democracy and human rights, the Jewish leaders in the United States who agitated for war against Germany were deceptively advancing their own interests. The official papers and memoirs of Juliusz Łukasiewicz published in 1970 in the book Diplomat in Paris 1936-1939 reconfirmed the authenticity of the Polish documents. Łukasiewicz was the Polish ambassador to Paris, who authored several of the secret Polish documents. The collection was edited by Wacław Jędrzejewicz, a former Polish diplomat and cabinet member. Jędrzejewicz considered the documents made public by the Germans absolutely genuine, and quoted from several of them. The German Foreign Office published the Polish documents on March 29, 1940. The Reich Ministry of Propaganda released the documents to strengthen the case of the American isolationists and to prove the degree of America’s responsibility for the outbreak of war. In Berlin, journalists from around the world were permitted to examine the original documents themselves, along with a large number of other documents from the Polish Foreign Ministry. The release of the documents caused an international media sensation. American newspapers published lengthy excerpts from the documents and gave the story large front-page headline coverage. However, the impact of the released documents was far less than the German government had hoped for. Leading U.S. government officials emphatically denounced the documents as not being authentic. William Bullitt, who was especially incriminated by the documents, stated, “I have never made to anyone the statements attributed to me.” Secretary of State Cordell Hull denounced the documents: “I may say most emphatically that neither I nor any of my associates in the Department of State have ever heard of any such conversations as those alleged, nor do we give them the slightest credence. The statements alleged have not represented in any way at any time the thought or the policy of the American government.” American newspapers stressed these high-level denials in reporting the release of the Polish documents. These categorical denials by high-level U.S. government officials almost completely eliminated the effect of the secret Polish documents. The vast majority of the American people in 1940 trusted their elected political leaders to tell the truth. If the Polish documents were in fact authentic and genuine, this would mean that President Roosevelt and his representatives had lied to the American public, while the German government told the truth. In 1940, this was far more than the trusting American public could accept. Played golf today with Joe Kennedy [Roosevelt’s Ambassador to Great Britain in the years immediately before the war]. I asked him about his conversations with Roosevelt and Neville Chamberlain from 1938 on. He said Chamberlain’s position in 1938 was that England had nothing with which to fight and that she could not risk going to war with Hitler. Kennedy’s view: That Hitler would have fought Russia without any later conflict with England if it had not been for Bullitt’s urging on Roosevelt in the summer of 1939 that the Germans must be faced down about Poland; neither the French nor the British would have made Poland a cause of war if it had not been for the constant needling from Washington. Bullitt, he said, kept telling Roosevelt that the Germans wouldn’t fight; Kennedy that they would, and that they would overrun Europe. Chamberlain, he says, stated that America and the world Jews had forced England into the war. In his telephone conversations with Roosevelt in the summer of 1939 the President kept telling him to put some iron up Chamberlain’s backside. Kennedy’s response always was that putting iron up his backside did no good unless the British had some iron with which to fight, and they did not…. What Kennedy told me in this conversation jibes substantially with the remarks Clarence Dillon had made to me already, to the general effect that Roosevelt had asked him in some manner to communicate privately with the British to the end that Chamberlain should have greater firmness in his dealings with Germany. Dillon told me that at Roosevelt’s request he had talked with Lord Lothian in the same general sense as Kennedy reported Roosevelt having urged him to do with Chamberlain. Lothian presumably was to communicate to Chamberlain the gist of his conversation with Dillon. Joseph Kennedy is known to have had a good memory, and it is highly likely that Kennedy’s statements to James Forrestal are accurate. Forrestal died on May 22, 1949 under suspicious circumstances when he fell from his hospital window. Sir Ronald Lindsay, the British ambassador to Washington, confirmed Roosevelt’s secret policy to instigate war against Germany with the release of a confidential diplomatic report after the war. The report described a secret meeting on September 18, 1938 between Roosevelt and Ambassador Lindsay. Roosevelt said that if Britain and France were forced into a war against Germany, the United States would ultimately join the war. Roosevelt’s idea to start a war was for Britain and France to impose a blockade against Germany without actually declaring war. The important point was to call it a defensive war based on lofty humanitarian grounds and on the desire to wage hostilities with a minimum of suffering and the least possible loss of life and property. The blockade would provoke some kind of German military response, but would free Britain and France from having to declare war. Roosevelt believed he could then convince the American public to support war against Germany, including shipments of weapons to Britain and France, by insisting that the United States was still neutral in a non-declared conflict. President Roosevelt told Ambassador Lindsay that if news of their conversation was ever made public, it could mean Roosevelt’s impeachment. What Roosevelt proposed to Lindsay was in effect a scheme to violate the U.S. Constitution by illegally starting a war. For this and other reasons, Ambassador Lindsay stated that during his three years of service in Washington he developed little regard for America’s leaders. Ambassador Lindsay was personally perturbed that the president of the United States could be gay and joyful about a pending tragedy which seemed so destructive of the hopes of all mankind. It was unfortunate at this important juncture that the United States had a president whose emotions and ideas were regarded by a friendly British ambassador as being childish. President Roosevelt wrote a note to William Bullitt [in the summer of 1939], then Ambassador to France, directing him to advise the French Government that if, in the event of a Nazi attack upon Poland, France and England did not go to Poland’s aid, those countries could expect no help from America if a general war developed. On the other hand, if France and England immediately declared war on Germany, they could expect “all aid” from the United States. F.D.R.’s instructions to Bullitt were to send this word along to “Joe” and “Tony,” meaning Ambassadors Kennedy, in London, and Biddle, in Warsaw, respectively. F.D.R. wanted Daladier, Chamberlain and Josef Beck to know of these instructions to Bullitt. Bullitt merely sent his note from F.D.R. to Kennedy in the diplomatic pouch from Paris. Kennedy followed Bullitt’s idea and forwarded it to Biddle. When the Nazis grabbed Warsaw and Beck disappeared, they must have come into possession of the F.D.R. note. The man who wrote the report I sent you saw it in Berlin in October, 1939. When Anthony Eden returned to England in December 1938, he carried with him an assurance from President Roosevelt that the United States would enter as soon as practicable a European war against Hitler if the occasion arose. This information was obtained by Senator William Borah of Idaho, who was contemplating how and when to give out this information, when he dropped dead in his bathroom. The story was confirmed to historian Harry Elmer Barnes by some of Senator Borah’s closest colleagues at the time. The American ambassador to Poland, Anthony Drexel Biddle, was an ideological colleague of President Roosevelt and a good friend of William Bullitt. Roosevelt used Biddle to influence the Polish government to refuse to enter into negotiations with Germany. Carl J. Burckhardt, the League of Nations High Commissioner to Danzig, reported in his postwar memoirs on a memorable conversation he had with Biddle. On December 2, 1938, Biddle told Burckhardt with remarkable satisfaction that the Poles were ready to wage war over Danzig. Biddle predicted that in April a new crisis would develop, and that moderate British and French leaders would be influenced by public opinion to support war. Biddle predicted a holy war against Germany would break out. Dr. Edvard Beneš, the former president of Czechoslovakia, wrote in his memoirs that he had a lengthy secret conversation at Hyde Park with President Roosevelt on May 28, 1939. Roosevelt assured Beneš that the United States would actively intervene on the side of Great Britain and France against Germany in the anticipated European war. On March 14, 1939, Slovakia dissolved the state of Czechoslovakia by declaring itself an independent republic. Czechoslovakian President Emil Hácha signed a formal agreement the next day with Hitler establishing a German protectorate over Bohemia and Moravia, which constituted the Czech portion of the previous entity. The British government initially accepted the new situation, reasoning that Britain’s guarantee of Czechoslovakia given after Munich was rendered void by the internal collapse of that state. It soon became evident after the proclamation of the Protectorate of Bohemia-Moravia that the new regime enjoyed considerable popularity among the people living in it. Also, the danger of a war between the Czechs and the Slovaks had been averted. However, Bullitt’s response to the creation of the German protectorate over Bohemia and Moravia was highly unfavorable. Bullitt telephoned Roosevelt and, in an “almost hysterical” voice, Bullitt urged Roosevelt to make a dramatic denunciation of Germany and to immediately ask Congress to repeal the Neutrality Act. Responding to Roosevelt’s pressure, the next day Chamberlain ended Britain’s policy of cooperation with Germany when he made a speech at Birmingham bitterly denouncing Hitler. Chamberlain also announced the end of the British “appeasement” policy, stating that from now on Britain would oppose any further territorial moves by Hitler. Two weeks later the British government formally committed itself to war in case of German-Polish hostilities. Bullitt also attempted to bypass the Neutrality Act and supply France with airplanes. A secret conference of Ambassador Bullitt with French Premier Daladier and the French minister of aviation, Guy La Chambre, discussed the procurement of airplanes from America for France. Bullitt, who was in frequent telephonic conversation with Roosevelt, suggested a means by which the Neutrality Act could be circumvented in the event of war. Bullitt’s suggestion was to set up assembly plants in Canada, apparently on the assumption that Canada would not be a formal belligerent in the war. Bullitt also arranged for a secret French mission to come to the United States and purchase airplanes in the winter of 1938-1939. The secret purchase of American airplanes by the French leaked out when a French aviator crashed on the West Coast. U.S. President Franklin Roosevelt and his advisers played a crucial role in planning and instigating World War II. This is proven by the secret Polish documents as well as numerous statements from highly positioned, well-known and authoritative Allied leaders who corroborate the contents of the Polish documents. Weber, Mark, “President Roosevelt’s Campaign to Incite War in Europe: The Secret Polish Documents,” The Journal of Historical Review, Vol. 4, No. 2, Summer 1983, pp. 136-137, 140. Count Jerzy Potocki to Polish Foreign Minister in Warsaw, The German White Paper: Full Text of the Polish Documents Issued by the Berlin Foreign Office; with a foreword by C. Hartley Grattan, New York: Howell, Soskin & Company, 1940, pp. 29-31. Juliusz Lukasiewicz to Polish Foreign Minister in Warsaw, The German White Paper: Full Text of the Polish Documents Issued by the Berlin Foreign Office; with a foreword by C. Hartley Grattan, New York: Howell, Soskin & Company, 1940, pp. 43-44. Germany. Foreign Office Archive Commission. Roosevelts Weg in den Krieg: Geheimdokumente zur Kriegspolitik des Praesidenten der Vereinigten Staaten. Berlin: Deutscher Verlag, 1943. Translated into English by Weber, Mark, “President Roosevelt’s Campaign to Incite War in Europe: The Secret Polish Documents,” The Journal of Historical Review, Summer 1983, Vol. 4, No. 2, pp. 150-152. Tansill, Charles C., “The United States and the Road to War in Europe,” in Barnes, Harry Elmer (ed. ), Perpetual War for Perpetual Peace, Newport Beach, Cal. : Institute for Historical Review, 1993, p. 184 (footnote 292). Chamberlain, William Henry, America’s Second Crusade, Chicago: Regnery, 1950, p. 60 (footnote 14). Barnes, Harry Elmer, The Court Historians versus Revisionism, N.p. : privately printed, 1952, p. 10. Raczynski, Edward, In Allied London, London: Weidenfeld and Nicolson, 1963, p. 51. Weber, Mark, “President Roosevelt’s Campaign to Incite War in Europe: The Secret Polish Documents,” The Journal of Historical Review, Summer 1983, Vol. 4, No. 2, p. 142. New York Times, March 30, 1940, p. 1. Forrestal, James V., The Forrestal Diaries, edited by Walter Millis and E.S. Duffield, New York: Vanguard Press, 1951, pp. 121-122. Dispatch No. 349 of Sept. 30, 1938, by Sir Ronald Lindsay, Documents on British Foreign Policy, (ed.). Ernest L. Woodard, Third Series, Vol. VII, London, 1954, pp. 627-629. See also Lash, Joseph P., Roosevelt and Churchill 1939-1941, New York: Norton, 1976, pp. 25-27. Dallek, Robert, Franklin D. Roosevelt and American Foreign Policy 1932-1945, New York: Oxford University Press, 1979, pp. 31, 164-165. Hoggan, David L., The Forced War: When Peaceful Revision Failed, Costa Mesa, Cal. : Institute for Historical Review, 1989, pp. 518-519. Tansill, Charles C., “The United States and the Road to War in Europe,” in Barnes, Harry Elmer (ed. ), Perpetual War for Perpetual Peace, Newport Beach, Cal. : Institute for Historical Review, 1993, p. 168. Phillips, William, Ventures in Diplomacy, North Beverly, Mass. : privately published, 1952, pp. 220-221. Barnes, Harry Elmer, Barnes against the Blackout, Costa Mesa, Cal. : Institute for Historical Review, 1991, p. 208. Burckhardt, Carl, Meine Danziger Mission 1937-1939, Munich: Callwey, 1960, p. 225. Sherwood, Robert E., Roosevelt and Hopkins, an Intimate History, New York: Harper & Brothers, 1948, p. 113. Fish, Hamilton, FDR The Other Side of the Coin: How We Were Tricked into World War II, New York: Vantage Press, 1976, p. 62. Beneš, Edvard, Memoirs of Dr. Edvard Beneš, London: George Allen & Unwin, 1954, pp. 79-80. “Von Wiegand Says-,” Chicago-Herald American, Oct. 8, 1944, p. 2. Chicago-Herald American, April 23, 1944, p. 18. Hoggan, David L., The Forced War: When Peaceful Revision Failed, Costa Mesa, Cal. : Institute for Historical Review, 1989, p. 250. Moffat, Jay P., The Moffat Papers 1919-1943, Cambridge, Mass. : Harvard University Press, 1956, p. 232. Pearson, Drew and Allen, Robert S., “Washington Daily Merry-Go-Round,” Washington Times-Herald, April 14, 1939, p. 16. U.S. Department of State, Foreign Relations of the United States (Diplomatic Papers), 1939, General, Vol. I, Washington: 1956, p. 122. Chamberlain, William Henry, America’s Second Crusade, Chicago: Regnery, 1950, pp. 101-102. Koskoff, David E., Joseph P. Kennedy: A Life and Times, Englewood Cliffs, N.J.: Prentice-Hall, 1974, p. 207; see also Taylor, A.J.P., The Origins of the Second World War, New York: Simon & Schuster, 2005, p. 272.